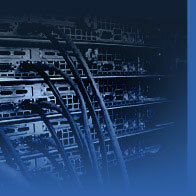 Shippment is available to any country in the World. Glowing film is a self-adhesive PVC film with a luminous coating. Luminescent film can be charged by any source of light including regular lamp and glow in the dark for more than 10 hours considering the extinction. It needs no extra illumination or ultraviolet to glow. Luminescent self-adhesive film has a yellowish-white color during the day and brigthly glow green in the dark. Luminous film is a three layered film made of special PVC resins and Glow in the Powder TAT 33. Luminescent film thickness is 0,23 mm. When it comes to 10th minute glow strength exceeds 200 mcd/m2 and becomes 25 mcd/m2 at the 60th minute of the luminescence. On the back side of the luminous film there is a special polyacrylate adhesive layer which provides the permanent adhesion and is protected with a siliconized paper. The ability to rapidly accumulate the light makes it possible to use the Glow in the Dark Film when making emergency marks, evacuation routes and developing the self-luminous safety systems. Luminous film is heavily used in design, in creating unique glowing decor elements, etc. You can always buy a luminescent film that has a desirable width and length here at Noxton. 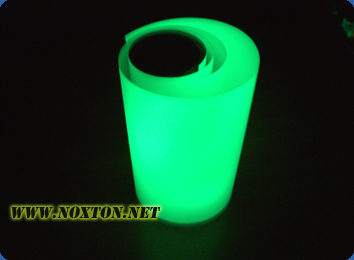 Glow in the Dark Film is nontoxic, nonradioactive and totally harmless to humans and environment. Due to the fact that luminescent film has a silky and matt surface it can be used in various types of printing: screen printing, solvent printing, large format digital printing and others. To apply the picture to the surface of the film you can use an ordinary printer. Luminous film can perfectly complement other products from Noxton: Glow in the Dark Paper, glowing paintings and luminescent safety signs. Composition of the luminous film: Luminescent film - is a heavy duty PVC film with a self-glow coating. Purpose of the glowing film: Evacuation plan, area marking, emergency routes and exits designation, illuminated signs and plates, modern safety systems. As well as: design, self-adhesive glowing stickers, interior decoration, luminous Night Sky and many other. Luminescent film properties: Glow in the Dark Film rapidly accumulates the light energy and emits the glow in the dark during emergency or planned turn off of the lights. Luminescent PVC film can be perfectly charged even by weak sources of light: office illumination, daylight lamp and others. After the lights are turned off a 10 sq. sm. piece of the film becomes noticable from a distance of 100 m.
Features of using the luminous film: Before applying the film clean the surface of dirt and dust. Make sure there it has no chips or cracks. Glow colors of the glow film: Green. Ecological properties of the luminescent film: Nonradioactive, nontoxic. Storage and service life of the glowing film: Store in a dry place. Service life - not less than 5 years. Luminescent film sizes: 1 m, 3 m, 5 m, 10 m length rolls. Luminous film width is 1 m.
Glowing film is very flexible thanks to its structure. No cracks appear when bending. Luminescent film is one of the ways to create a Night Sky. Glow in the Dark Film has a waterproof coating. In case of fire alarm activation the film won't lose its glow properties after contacting with water. In certain countries it is necessary to use the glowing evacuation signs (based on luminescent film). Luminous film from Noxton can be used for artificial illumination during the first minutes in the dark. Glowing film - is itself a combination of regular self-adhesive oracal and Glow in the Dark Powder TAT 33 of the desired color. In that case we use a method of silk-screen printing to make that kind of film. Noxton Company would be happy to provide you with all the necessary information and advices on how to make a self-adhesive luminescent film. If for any reason you are not able or don't want to paint yourself, you can always buy the ready made luminescent film at Noxton Technologies Company. To check out the prices for Glow in the Dark Film from Noxton, please proceed to "Price list" page.